For many reasons, a furnace is one of the most important parts of your home or office heating system in winter. The furnace does not just keep your home or office warm throughout the winter, in fact, it also helps to filter particulates out of the air in your home. Your furnace like any other equipment can also malfunction. Even a small problem can add to diminished comfort, safety risks & higher running costs. So, it’s really important to get your furnace repaired when it’s not working properly or not working at all. Our Experienced HVAC Technicians Are Ready To Assist! Your furnace is responsible for ensuring your home or office is warm and comfortable in the winter time. So, it’s recommended to have a trusted and experienced furnace repair specialist handy in the event of an emergency. Anytime Heating, Cooling and Plumbing is a leading provider of furnace repair services in Atlanta. Our expert technicians are knowledgeable and trained to handle different brands & models of furnaces. Whether your home or office has a gas furnace or a heat pump, you can rely on Anytime Heating, Cooling and Plumbing furnace repair technicians who are licensed and trained for all types of furnace repairs. After the first few years of installation, your furnace will not typically need any repairs, however, it’s still recommended to examine it for signs of damage or simply not operating efficiently. You should contact a dependable HVAC professional that provides furnace repair services for an inspection of your furnace, whenever you observe any of the following signs. If you encounter any of the above signs, you should contact a professional HVAC company like Anytime Heating, Cooling and Plumbing as soon as possible to ensure that you don’t go without heat this fall and winter. It never seems to fail that a homeowners furnace will fail during the middle of the coldest nights of winter! What’s the Cost to Repair a Furnace in Metro Atlanta? However, the cost to repair a furnace in Atlanta depends on several factors such as the type of furnace installed and the nature of the damage it has sustained. If the issue is small it will cost only a few dollars but in case of a major repair then the cost might increase to an amount over a thousand dollars. In some cases, your whole furnace needs to be replaced and in other cases just a few parts. So, the cost may vary. When our technicians arrive at your property they will inspect the condition of your furnace and provide you an up front quote about the repair cost on the spot. Call Anytime Heating, Cooling and Plumbing and get an expert HVAC furnace repair technician at your door ASAP and on time! Why Choose Anytime Heating, Cooling and Plumbing For Furnace Repairs? Here at Anytime Heating, Cooling and Plumbing, our professional technicians are known for their attention-to-detail and honest service advice. Our experienced team can deal with any kind of furnace repair you may have. We are available 24/7 to assist in getting your furnace back up and running and your comfort levels back to normal. Get 24/7 Emergency Furnace Repair at Anytime Heating, Cooling and Plumbing! Atlanta winters get extremely cold and we know you need your furnace running properly in winter. That’s why the professionals at Anytime Heating, Cooling and Plumbing offer 24-hour emergency HVAC furnace repair service in Atlanta. 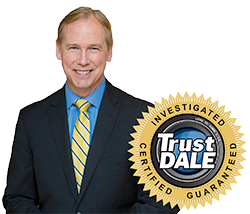 Any furnace problem that arises must be inspected and repaired by experienced licensed technicians. So, trust our HVAC professionals to respond and repair your furnace ASAP of your call! You just need to dial 770-504-5881!